Chocolate Stout Ice Cream. Bottoms up! When I was a senior in high school my parents went away for a few days and left me to watch my sisters. It so happened that they were gone over St. Patrick’s Day, and the nice little Jewish girl that I was, I decided it would be fun (err my friends convinced me) to host a St. Patrick’s Day party, complete with green beer and green funnels. Needless to say you can guess how the rest of this unfolded. I was grounded, and pissed off. The thing is, I thought I was being so clever and sneaky, but when you have parents who SNOOP through your stuff (those photos were buried deep within my backpack), it’s hard to get away with anything. This was the house that LIES built! Anyhow, ever since that fun “party” (there were maybe 10 people, it was hardly a party, OK? ), I have always had a soft spot in my heart for St. Patrick’s day. So, in honor of that wonderful celebration (better late then never! ), I present you with Chocolate Stout Ice Cream. Bottoms up! Warm one cup half-and-half, sugar and salt in a medium saucepan. While this is heating, whisk together the three egg yolks. Temper the eggs by pouring the hot milk mixture over the egg yolks, whisking vigorously. Pour the mixture back into the saucepan and heat until 170 degrees F or until the mixture is thick enough to coat the back of a spoon or wooden spatula. Pour the chocolate chips into a large mixing bowl and cover with a fine mesh strainer. Pour the egg/milk mixture through the strainer onto the chocolate chips and stir until melted. Whisk in the remaining 1 cup of half-and-half, then the beer, then the vanilla. Chill completely in the refrigerator for approximately 2 hours. Pour the mixture in the base of an ice cream maker and churn according to the manufacturer’s instructions (approximately 20 minutes). Because this recipe contains beer it will be slightly softer and creamier when you scoop it out of the machine. Transfer to a freezer safe container and let harden in the freezer for at least 2 hours before scooping. The Verdict: The Hubby brought a pint of this concoction to his office and needless to say, they loved it! Two people even ate it for breakfast (be still, my heart!). I don’t personally love beer, but I really liked this ice cream. It has the perfect amount of beer, and because I used chocolate stout, it really enhanced the chocolate ice cream base as well. Bottoms up! *Oh, poor Marsha, don’t fret. 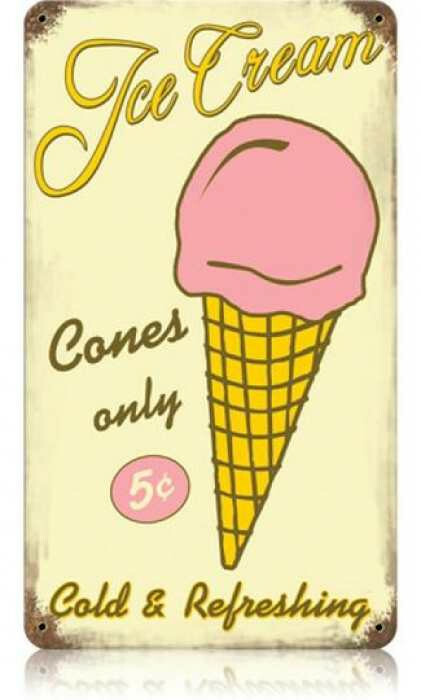 At 365scoops we don’t use corn syrup in our ice cream, so you can always eat our creations! Look at that beautiful granita! It’s hard to believe that it’s almost Passover…where has the year gone? I feel like it was just last week when we gathered around the Seder table scarfing down charoset and matzah ball soup. In honor of Passover, I was asked to write a piece for The Nosher and My Jewish Learning and provide you, my readers, with a Passover frozen treat. Aside from the important themes of Passover, particularly those of freedom and liberty, Passover also means, at least in my world, a paucity of good desserts. While I am completely obsessed with ice cream, I also love sinking my teeth in a nice, moist piece of cake. That just ‘aint possible on Passover. The other major pain about Pesach is that no one ever has good cooking utensils. We always reserve the good stuff for the rest of the year, and often our pots and pans, let alone baking equipment for Pesach, ends up being pretty junky. Save for the amazing omelet pan that my parents have for Passover (I’m convinced omelets are better this time of year as a result of the pan) we don’t have nearly as many fun kitchen gadgets. Needless to say, this obviously goes for the ice cream maker as well. Though I am a big supporter of a kosher-for-Passover ice cream maker, I realize that it’s a completely unnecessary expense. So, in the absence of an ice cream maker, you might be left with a dearth of good dessert ideas. Zesting the lemons. Make sure to roll them in your hands first to warm up the juices. Enter the granita. Originally created in Italy, the granita is a semi-frozen dessert made from sugar, water and flavoring. It requires absolutely no special equipment, and the beautiful thing about this granita is that it can be served as a dessert (perhaps with some fresh berries on the side) or as an intermezzo (or, as I prefer, an intermatzoh) to cleanse the palette between courses at the Seder. It’s your choice…and whatever you decide, you won’t be disappointed. First make simple syrup. Normally simple syrup is made with 1 cup sugar, 1 cup water, in other words, a 1:1 ratio. However, this recipe cuts down on the sugar (you’ll thank me later) and ends up just fine! While the mixture is cooling, place the strawberries, lemon juice, lemon zest and vodka into a blender and mix until smooth. Pour the cool simple syrup into the strawberry/lemon puree and blend until mixed. Pour into an 8×8 square glass pan and freeze. After approximately 2 hours, check the granita. Once it has started to freeze run a fork through the entire pan and begin breaking up the ice to make little icicles. Return the dish to the freezer, then check the mixture every 30 minutes afterward, stirring each time and breaking up any large chunks into small pieces with a fork, until you have fine crystals of homemade granita! If by mistake, you forget about the granita and it freezes solid, run a very sharp knife through frozen mixture from one side of the pan to the other to loosen the ice crystals. Then scrape a fork back and forth to create fine crystals. Scoop into a cup and enjoy! Look at those beautiful granita crystals. Yum! Serve with fresh strawberries and a lemon wedge to enhance the presentation. Enjoy! The Verdict: Delicious! The addition of potato vodka actually raises the freezing temperature, so the granita was slightly slushie. Plus, after a long Passover Seder, a little vodka might be a good idea! The best part? No ice cream maker or tools required. This is a very simple crowd pleaser and absolutely refreshing as well. 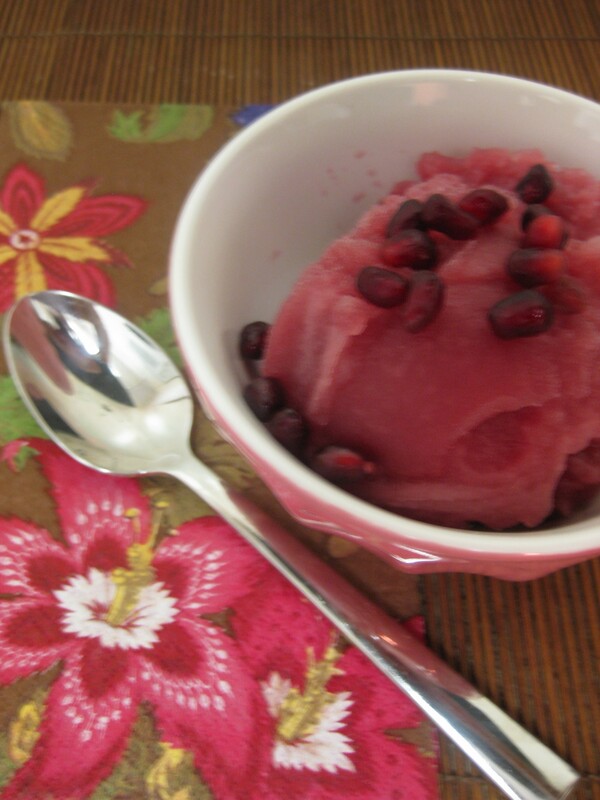 Granitas are a perfect treat for Passover or year round. Enjoy. Friends, it’s the Jewish month of Adar* and you know what that means? Purim! And hamentaschen, and candy and drinking and fun! For those of you who are not familiar with these adorable three-cornered treats, Hamentaschen are triangular cookies, traditionally filled with jams, and eaten during the holiday of Passover. Their shape is modeled after the three-cornered hat worn by the holiday’s villain, Haman. The holiday of Purim commemorates the day when Haman cast a lot (aka “pur”, hence the name “pur”im) to determine the day on which he would kill the Jews. After a turn of events, the Jews were not killed and instead, killed the enemies who wished to destroy them (not such a great thing to celebrate in my opinion, as we should not rejoice as our enemies fall…but that’s besides the point). On this joyous holiday we celebrate by donning costumes, giving gifts to the poor, giving food gifts to friends, reading a megillah (scroll book), imbibing, partying, and of course, eating Hamentaschen. Anyhow…I wanted to make a hamentaschen ice cream, but putting bits of these cookies in the ice cream would get soggy, and nobody likes soggy ice cream. So, my mother suggested making peach raspberry ice cream served with a peach or raspberry hamentaschen on the side. Sounds great to me. Like usual, I combined a number of recipes to make this treat. Suffice it to say, it may not have been worth the effort. Either it’s not peach season (well, I know it’s not peach season) or I didn’t use enough peaches, or my recipes were just all so-so but I was not impressed. It’s OK, you win some, you lose some. And let’s be clear, this flavor is by no means awful it’s just not my favorite. The hamentaschen, however, now those were the bees knees! Thanks to Not Derby Pie for this yummers recipe. Cut the peaches in half and remove the pits. Place skin side down in a baking dish. Scrape out the vanilla from the bean and mix with 3 tbs of sugar. Sprinkle over the peaches. Bake at 425 for 15 minutes and then broil for approximately 5 minutes until the tops caramelize and brown a bit. Remove from the oven and let cool completely. While the peaches are cooling, make the ice cream base. Heat the half-and-half in a large saucepan until small bubbles form around the sides. Remove from heat and set aside. Whisk together the two egg yolks with the 3/4 cup sugar until it thickens (it will get very thick and almost impossible to whisk because you will only be using 2 yolks). Temper the eggs by pouring in the hot milk mixture slowly into the egg yolks, whisking thoroughly until well-blended. Pour back into the saucepan and heat until it reaches 170 degrees Fahrenheit. Set aside and cool. Once the peaches have cooled, remove the skin, and puree in a blender along with any other peach juices that remained in the baking dish. Pour in the milk mixture into the blender and puree with the peaches. Slowly add in the frozen raspberries until the whole mixture is well blended. Squeeze in some lemon juice (to taste) and blend one more time. There will inevitably be small pieces of peach skin and raspberry seeds in your mixture which you’ll need to strain out. So, pour the mixture a few cups at a time over a fine mesh strainer. Discard the seeds and skin, keeping only the perfectly smooth mixture. Chill completely in the refrigerator before churning. Transfer the mixture to your ice cream maker and churn according to the manufacturer’s instructions (approximately 20 minutes). Once it’s finished, transfer to a freezer safe container for at least 2 hours so that it can harden before you serve it. To enjoy, put 2 hamentaschen on your plate (preferably a raspberry one and a peach one, get it?) along with a scoop of ice cream, and enjoy! The finished product. Happy Purim! The Verdict: Eh. I actually had a moral dilemma posting this flavor. You see, I knew from the moment that I roasted the peaches that it wasn’t going to be too flavorful. I didn’t want to waste the precious ingredients, but then again didn’t want to make a yucky flavor, and post it in public. The Husband reminded me that people actually enjoy reading about my failures (thanks peeps!) and that it keeps me honest to post flavors that are not as terrific as the rest. Because, let’s be honest, not every flavor is going to be a winner. While this flavor lacked a little flavor punch, it was still very, very creamy. 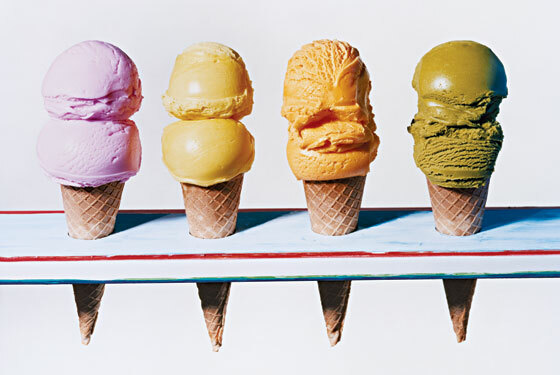 So, on that note, enjoy this fruity ice cream and if nothing else, Happy Purim!